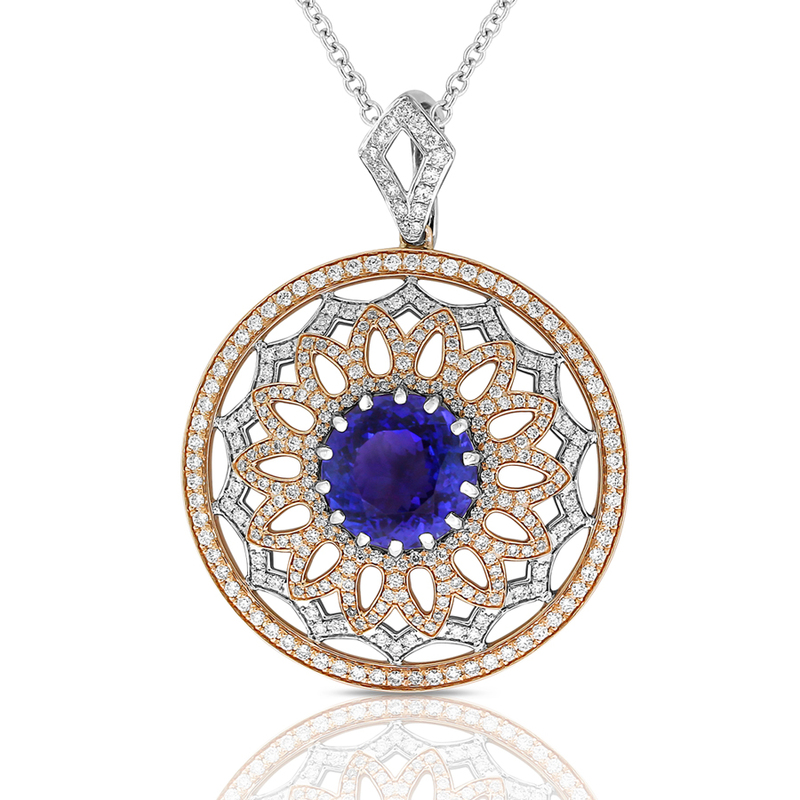 As inspired as the rose window of a cathedral, this pendant centers a tanzanite of an intense blue-purple. It is surrounded by open petals of rose gold that overlay a scalloped edge of white gold, all framed within a circle of rose gold. The white gold bail reflects the points of the white gold scallops. 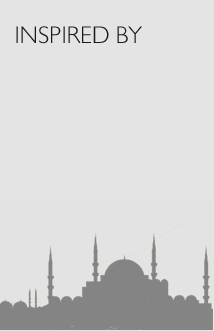 All is diamond-set. The open-work design creates a light look for this sizeable piece.